You can buy the Maggi noodles in a pack of 5 for $1.97. The small cans of tuna with flavours added are delicious and one is just right for one person. Boil noodles until they are tender. 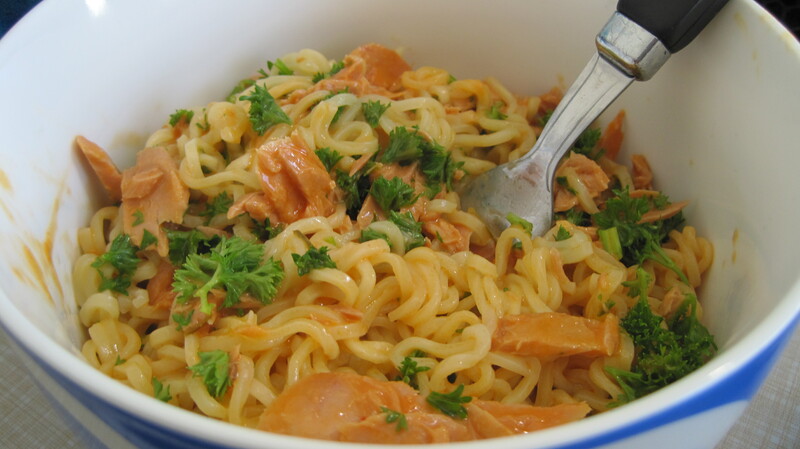 Place hot noodles in a bowl with the can of tuna and mix through. Sprinkle with parsley or spring onions if you have them.